It is two days before we leave and it is hectic at work, but I think I now have everything so I am going to start packing, it is just that I doubt all of it would fit. 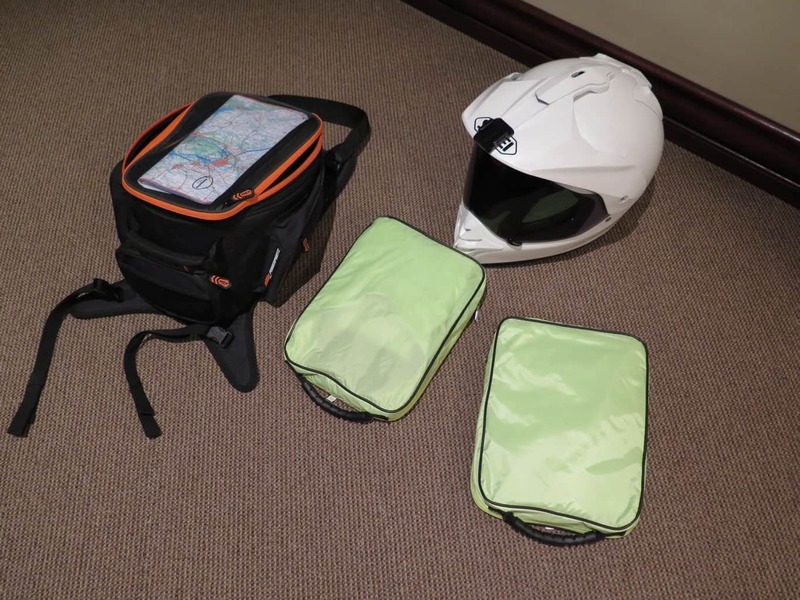 I have to take my replacement Tank Bag and Rain Suite that were stolen on the last Leg in Russia, I was warned about the crime but decided not to take Snowflake, (my KTM as she is white in colour) to the towns secure parking, ( every town has a central secure area where you pay R60-00 per bike per night to park under lights with a guard tower and dogs patrolling with armed guards.) 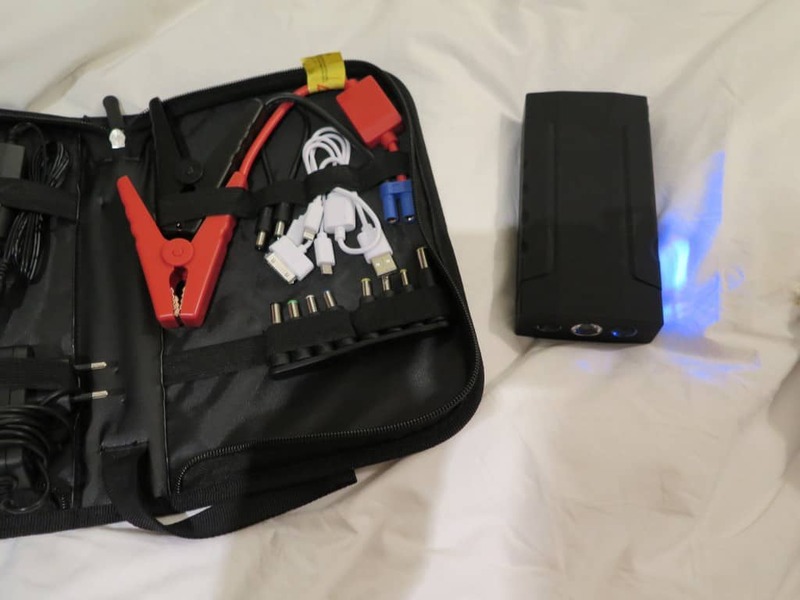 So I parked almost in the hotel’s foyer, right at the entrance, and I removed everything else but my Tank Bag with only my rain suite in, who would want that, and who would know how to get the bag off I thought? Famous last words. 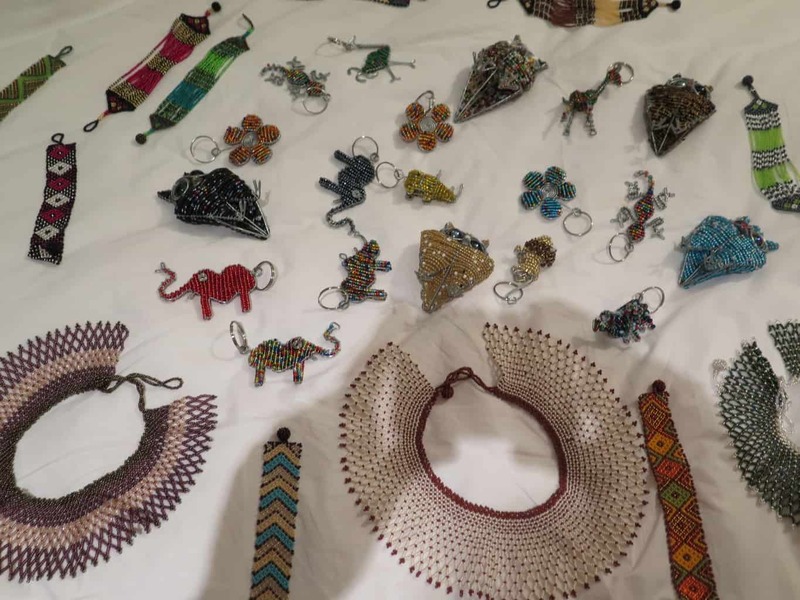 I also bought a lot of small gifts, “African Style” (beadwork mostly) which we use to reward good service or just saying thank you to a person helping us with directions, or a waitress who could find us an English Menu, or a friendly smiling face at a gas-station, or a kid who tries to speak to us in a foreighn Language. But my New Gadget is something Peens found when he went to try and fit a duel battery system for his fishing Jet Ski, it is a little kit with all the charger attatchments you could ever need, and jumper cables which you connect to a small box which you first need to charge and then they claim you can jump-start a car twenty times, and even if it is only 5 times I will be happy as we always have one bike who has to be started and up to now we have been putting the bike with the flat battery right up against a bike that is running, with the wheels against each other, both on centre stands, and then the the two riders get on the seats and the bike that is running engage 1st gear and he releases the clutch, causing the wheel to turn which starts spinning the wheel of the bike with the flat battery (he is holding in his clutch of course) and then the bike goes through the gears until it is reving high in about 4th gear before the other bike which should be in 5th gear releases his clutch causing the spinning backwheel to turn the motor, so it is like a push-start without pushing. I now have to apologise as I received very direct and rude “constructive Critisism” from Pie and Peens, they feel I should have introduced the team, with photos, and I should have been more tecnical about some things, and I should have remember to add the Salt Mines we went to in Poland, or I should have placed the photos next to paragraph I wrote about the photo, and, and, and…….But in my defence, I only decided to do a blog 2 weeks ago, and I am not very good with computers, so it was a learning curve and if I had more time I would have done a better job. So my promise is that I will improve as I learn and get better and will over time start mentioning the different banter and jokes between us and will try to get each Riders personality accross, but let us first get going, up to now it has all been catch-up. Posts from Leg 1-13 under maintenance. Baie geluk ek kan nie glo jy het dit reg gekry. Ons is baie trots op jou. Julle moet julle laaste werks dag geniet .